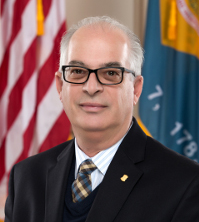 House Minority “Leader”, Danny Short (R. Seaford), has sponsored a bill which would force large users of municipal water, to subsidize the water use of others within the municipality. 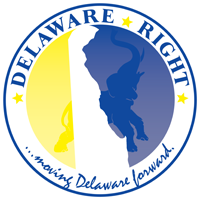 HB 38 of the 149th General Assembly is in direct response to something which took place in Frankford De. . It seems as though Mountaire Farms’ feed mill in Frankford, applied for and was given approval by the state, to drill a non-potable well according to current state code. Said code, did not require the state to inform the Town of Frankford of the permit issuance. Suddenly the Town of Frankford noticed a sharp drop in its water use, 33% to be exact, and thus, a sharp decrease in its revenue stream, pardon the pun. So naturally the Town of Frankford wanted to know why they had not been contacted about the permit issuance. They were told the law had been changed in 2001 removing any municipal government from having approval authority over non­-potable wells. So now the Town of Frankford, along with other municipalities have lobbied, and it would seem, found support within the General Assembly, for their idea to again change the law to allow the denial non-potable well permits. “(c) Notwithstanding any other provision of this section, following the issuance of a certificate of public convenience and necessity to a water utility, the Department shall not withhold a nonpotable water well permit from any person seeking to construct or extend a nonpotable water well in an area serviced by a water utility, subject to the provisions of subsection (d) of this section ; unless: . which causes concern. With this language in the code, the state will deny any non-potable well within a municipality. And why? Because the towns have claimed they cannot afford the loss of revenue. is a bill which will force large water users to subsidize those who use less water. It also could allow the state to deny all non-potable wells to citizens for things like irrigation. Of course on the surface this bill looks as if it is forcing the state to notify the towns to allow the towns to make decisions for themselves, and I guess it does, but does it really? The language says that “the Department”, so does this mean when “the Department” receives a request for a non-potable well within a municipality “where public water is available”, that it is automatically denied? The only way a citizen could then receive a permit for a non-potable well, would be to sue in court, and who can afford to sue the state in court just so they can water their lawn? In fact, this was another of the Town of Frankford’s complaints, that as current law stands, if the state issues a permit, the Town would have to sue in court to block it. So Rep. Short has removed the burden on the Town, and now placed it squarely on the private citizen. It saddens me as a registered Republican to once again see a member of my party, the party which claims to be for property rights, to be taking the lead on something which clearly infringes upon property rights. Also, this will have a chilling effect upon business growth. What large business will want to locate within a town, or even a state which works so hard to penalize them? Again, the Republican party touts its commitment to business and economic growth, yet seems to side with government every time. HB 38 is now out of committee and on the ready, so contact your legislator and let them know your feelings about this. 26 Comments on "Subsidized Water?" I recently went thru this with Bridgeville. Was trying to get an additional 4″ well for irrigation. Was not allowed due to services from the Town being in our area. Well Steve, why don’t the towns just save time and walk into the businesses with a gun. And the way the changes are written all non-potable wells will be denied. That was the way it was explained to me by Town ordinance before. I didn’t say I agreed with it, but I have been on both sides of the issue. This is just shameful. Mr. Short has obviously got someone whispering sweet nothings in his ear. I find it odd that he did not find his way to me, speaker of the Sussex County Well Drillers Assoc. for comment? Does he know what impact this will have on the small business community? Does he know how many non potable wells are drilled in Sussex each year? Does he know how many jobs and families are at stake? Shame shame on him and his co-sponsors. This is a knee jerk reaction to a problem that they have no business meddling with. The town of Frankford got beat at their own game, legally, by the largest consumer of water. The water in Frankford is expensive to treat and the plant is out of date. Maybe the town should close its plant and let the residents provide water for themselves? I certainly hope RBK does not support this crap. The fact that sir Pete is involved is telling. Isnt he just goving the Towns the same protections as Tidewater gets? Why should Tidewater have this protection? I will go one more than Waterpirate, if people can’t put in ag wells, then they may not put in any irrigation, meaning more jobs and business lost. Are you saying you can’t currently have a ag well in a Tidewater community. You do not have free reign to drill in Tidewater water rights areas, although it can be done. Mountaire would be industrial. Like I said I have tried to fight it but can see both sides. From where I stood before it was Town ordinance, and there was no need for State law. SB 19? gives you the right to have an ag well in a water district that does not hold a cpcn. Communities may or may not have covenants with private water providers prohibiting non potable wells, but when challenged legally, they are not worth the paper they are written on. I urge the Sponsors to call me to discuss the economic impact and precedent this will set. I will be reaching out to them today. My question to them is, ” Who are you trying to help?”. Having just read the bill in its entirety, I am more opposed now then I was before, for different reasons. This bill will prohibit nothing that is being done now. It will however re-instate a practice that proved cumbersome to residents, the department, and the drilling community. The notification process was done away due to the time it took water providers to respond to permits and sign off. The notification was a regulation if you will that only slowed and hindered business. Wells are drilled only when permit conditions are met. The notification to Frankford would not have helped them. The plant would have litigated, monies would have been spent in court, and in the end Frankford would have lost. If the goal of the Sussex R’s is to remove regulation and speed up business, Why this? This bill is a feel good measure that is going to help no one. It will hurt business, residents, towns, and the department. If the legislature wants to help they should move on the request that is made every year to better fund the departments water supply section that handles permitting and other things, that is already grossly understaffed and over tasked. Frankford borrowed money to upgrade its plant based on providing water to the chicken plant. Even thought the plant is applying for a well to pump “non potable” water, it’s the same water from the same aquifer that the town is providing potable water from and a large well could easily pull a plume of toxic death into the capture area of the potable well. The part that could allow a for profit utility that significantly price gouges to deny a homeowner an irrigation well is of concern though. Mouse, you are correct, the ag well the plant drove does draw from the same supply as the town, which means, even if the plant was still pulling from the town, it would be the exact same draw on the aquifer. So not sure how it would have any more effect. The only difference is the town treats the water. This was not to supply some new usage at the plant, it was a business decision to cut cost. Perhaps the town should do the same. The loans can be refinanced to allow for lower payments. But the affect this legislation could have on business could be far reaching and as you say, the impact on individuals wanting to water their lawns and fill their pools is also troubling. This is a “liberal” state, just like NJ, MD, CT, MA and so on. So it would stand to reason that many Republicans- so-called “conservatives”- get caught in the tide always drifting to the left. Short is merely going with the flow. It will get a lot worse before it gets better. Remember, it is inevitable that Sussex, the primary resistance to “liberal” statists, will eventually drift Democrat, as more people fleeing high-tax states move here and then vote for candidates who demand higher taxes- Democrats. A large well can pull a contamination plume in a different direction than it’s going. Cone of depression.. The proposed bill was sent back because it was worse than the bill they are trying to correct. Shows to go ya! Mount air took full advantage of the law as it was written, ignoring any intent by the authors. I say ” good on mount air “. Hb 38 is a work around when written properly to prevent any future transgressions against CPCN’s that they thought they were protected from. The well that was drilled in Frankford was a industrial classification, thus non-potable. The current wording allows any non-potable well to move forward. When it is corrected it will still allow ag wells for residences and other applications, but not the other non-potable wells in the classification system. By the way the water in Frankford is not polluted, it is just a lagonal formation, rotten stuff, get it? So WP it sounds like they will force large users to remain on the public system, so in other words, they will be forced to subsidize the cost of water for others. Some of the people that I cut grass for, who have irrigation for their lawns, tell me that their Tidewater bill sometimes exceeds their electric bill. I’ve seen many people put in an agricultural well to offset their water bills, and once that well is installed, almost all of them end up watering their lawns everyday, to the detriment of their lawns. I try to tell them about root structure and overwatering, but few take heed. As soon as they get that well, they set the timer on the irrigation system to activate daily, and it’s boggy bliss from then on. FBH, that is the hallmark of freedom, the freedom to be idiots. Any business or large water consumer that chose to operate inside a CPCN must abide by the conditions of the CPCN period. A business is free to move their operation out of a CPCN if they so choose. I am reluctant to call it forcing anybody to subsidize anybody as it is their choice where and how they operate. It was Frankfords greed that forced the mills hand in wanting to get off the towns water system. They would have IMHO sought to move the mill if the well or a compromise with the town was not reached. Kenton Supports this, I didn’t even know Kenton was aware the Legislature was in session, one of his donors must have called to inform him how to act. Poor little Mouse, so many things to hate in the world, smelly dirty chicken death factory. Take a deep breath Mouse then go back to reading Harry Potter for the 41st Time. We all support this in its intent. The hastily crafted bill was sent back to Leg hall by DNREC for not including nor supporting the intent of the corrective action. The feed mill exploited a loop hole if you will in the legislation as it existed. They are now trying to close the loophole only, not craft anything new or changed. As an update, last week a cloak of silence fell upon this issue. DNREC has no new info, or will not divulge it. The decisions from the fire hall meeting forgiving Frankfords debt are not clear. And The silence from Mr. Short is deafening. At the end of the day we all feel sorry for Frankford, but ignorance of the current law is no excuse. It was Frankfords failure to enact any code within their CPCN that led them here. Other towns have ordinances covering this, Frankford fell off the proverbial turnip truck if you will. The average citizen may ask ” what’s all the hub bub?” It boils down to property owners rights. HB38 would severely limit and curtail a citizen not living in a town. It would limit what they can and can not do on property they own. This is where I get really confused. How can Mr. Short and his other fellow travelers of the Republican caucus stand for limiting private property owners rights? How do you explain this Mr. Wilson? The back story on this is, now that Mr. Short has taken the lid off of Pandora’s box, the private water utility companies who are not the same as a town, are circling like vultures as hb38 will undo the current legislation. The current legislation allows a private property owner to construct a well on their property for non-potable use, even if someone else owns the water rights under your property. Mr. Short is having a coffee on March 1st with the Gov. and I for one can not wait for him to try and do some mansplaining about this. I urge you to call Mr. short and tell him we do not need hb38 period. Not with any amendments, not at all. The current legislation serves everyone fully as it exists now. If you want to feel good about yourself, tell Frankford to get its town codes and ordinances in order, not introduce feel good legislation that hurts a lot of people.